When an overworked mother and her teenage daughter magically swap bodies, they have just one day to put things right again before mom’s big wedding. 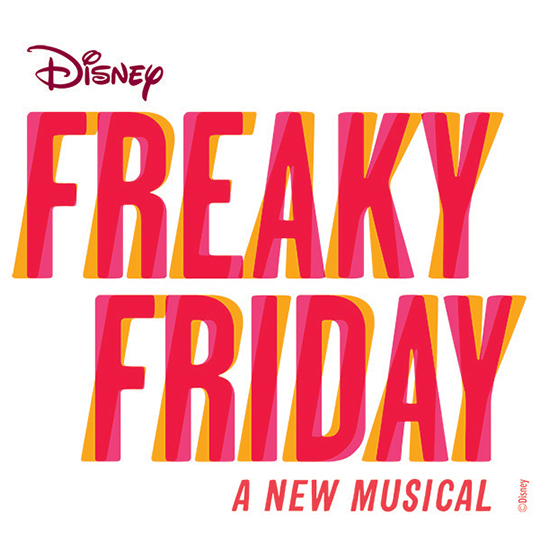 Freaky Friday, a new musical based on the celebrated novel by Mary Rodgers and the hit Disney films, is a hilarious, contemporary update on an American classic in which a mother and daughter really see what it is to be a family and experience each other’s lives first-hand, in only for a day. “Delightfully spunky” with “timeless appeal” (Variety), Freaky Friday features a new book by Bridget Carpenter (Parenthood) and an original pop/rock score by Tony Away and Pulitzer Prize winners Tom Kitt and Brian Yorkey (Next to Normal). This dynamic story puts a fresh new spin on a “polished, peppy, modern fairy tale” (The Washington Post).